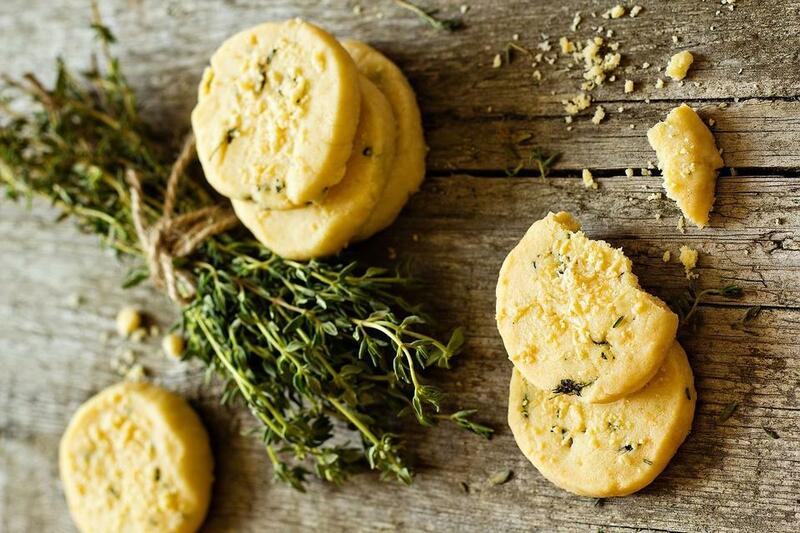 Make these savory thyme shortbread cookies and dress up your charcuterie board! Change things up by using a different herb, like lavender, sage or rosemary. In a small saucepan over medium-high heat, melt the butter with the thyme stems, stirring until butter is a deep golden brown, about 8-10 minutes. Strain and remove thyme stems. Immediately pour butter into medium bowl and transfer to refrigerator to chill until solid. When butter is solid, put it in your stand mixer fitted with paddle attachment. Cream until smooth. Add sugar, thyme leaves and salt. Mix on medium-low until fluffy, about 2 minutes. 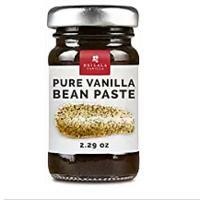 Add vanilla and mix on low until incorporated, around 30 seconds. Add flour in two parts, mixing on low, about 15-30 seconds after each part, or until incorporated (start with flour and end with flour). Turn out from bowl using bowl scraper to incorporate any flour that may have been missed. Shape into a large 1/2-inch thick square on your work surface. 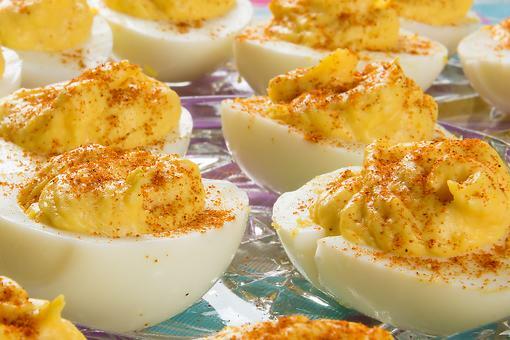 Wrap in plastic and refrigerate for a minimum of 2 hours. 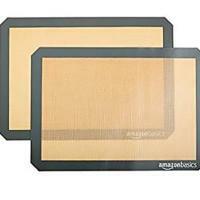 Preheat oven to 325 degrees F. Line two baking sheets with Silpat mats or parchment paper. Remove dough from fridge and place between two sheets of plastic wrap or parchment. Roll out to a 9-inch square. Cut into desired shapes. Transfer to lined baking sheets, leaving a 3/4-inch space between each cookie. Bake 15-20 minutes until the shortbread is light and golden brown. Rotate sheets, top to bottom and front to back, halfway through. Cool on baking sheets for 5-10 minutes, then gently transfer to wire rack to cool completely. 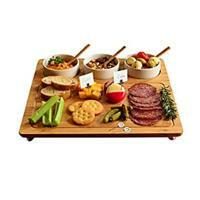 How to Make a Mind-blowing Charcuterie Board in 6 Steps! 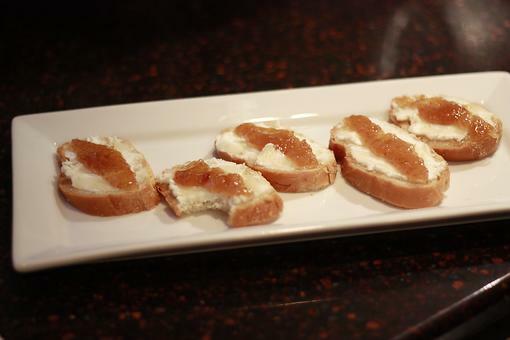 Goat Cheese & Fig Crostini: Steal the Spotlight With This Savory Appetizer! 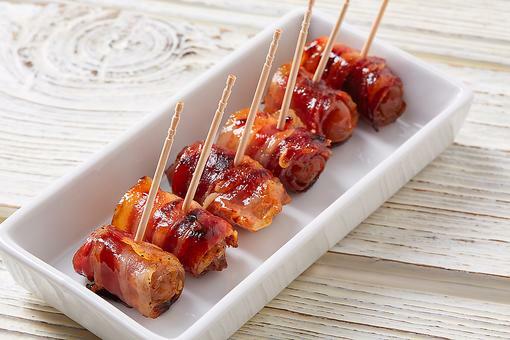 Bacon-Wrapped Medjool Dates With Goat Cheese Will Make You Slap Ya Mama! 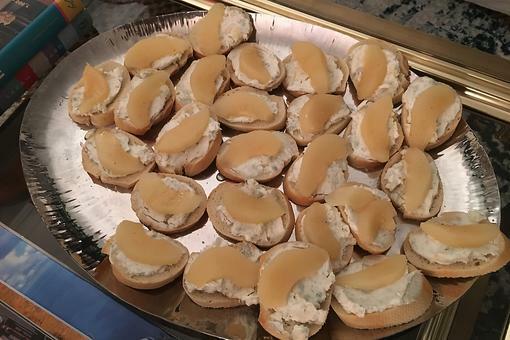 How to Make Savory Sweet Pear Appetizers (5 Minutes, 5 Ingredients)! Yum!! This would be great on a charcuterie board. Thanks, Chef Gigi Gaggero ! What a nice change of pace, Chef Gigi Gaggero ! 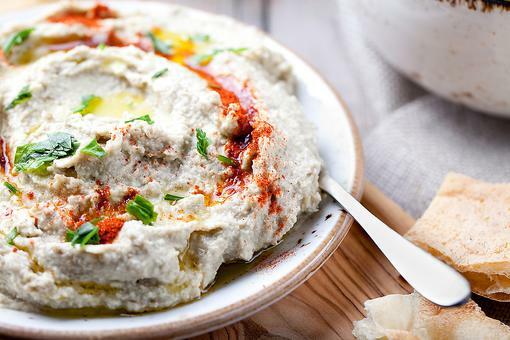 How to Make Buttered Baba Ganoush (aka Creamy Eggplant Dip)! Charcuterie Board Ideas: How to Make Brown Butter & Thyme Shortbread!